Any car accident lawyer would agree that texting and driving has reached near epidemic proportions nationwide. The roadways are filled with distracted drivers who reach for their cell phone to read messages and text while driving, and in the process cause a car accident, resulting in serious injuries and sometimes even death to innocent victims. In response to this epidemic, Maine distracted driving law carries heavy fines and even driving license suspensions. In addition, car accident attorneys are widely available to offer legal counsel to any victim of a car accident caused by a distracted driver. Without a doubt, distracted driving is a very serious and dangerous act. Close to 400,000 people in the U.S. are injured or killed in traffic accidents annually as a result of texting while driving. The U.S. Department of Transportation cited 3,477 deaths in motor vehicle crashes caused by drivers who were distracted by either using their cell phones or by texting. Who is the Most Susceptible to Distracted Driving Accidents? Statistics indicate that teen drivers are the most susceptible to drive distracted. Having come of age using cell phones to text and communicate with their friends and family, they expect a direct response to text messages within five minutes. The result is 43% of teen drivers habitually text or email messages while driving. Sadly, this age group makes up 27% of drivers in fatal crashes that are attributed to distracted driving. The act of driving distracted is nothing new. Changing radio stations, grooming and applying makeup, talking to passengers, eating a sandwich, drinking a hot coffee—all are examples of distracted driving that has confronted motorists long before the cell phone. However, none of those distractions compare to the extreme risk posed by texting and driving. Traffic accidents are 23 times more likely to happen when the operator of the motor vehicle is texting and driving. The urge to text is addictive, and the act itself seriously impairs the visual, manual, and cognitive functions of the driver. Activating a cell phone, reading a message and comprehending it, thinking of a response and texting a reply, and then sending the message and waiting for a response all add up to a serious distraction. The driver’s attention is no longer on the road and thusly, they are no longer operating the vehicle safely. Consequently, the driver has placed themselves and other motorists around them at risk. It is in those few seconds, that an accident can occur and the results can be fatal. Maine distracted driving laws focus on novice drivers and a ban on texting for all drivers. Novice drivers are those drivers younger than 18 years of age. They are banned from all cell phone use while driving. That means both handheld and hands-free cell phone use. Further, this includes all handheld electronic devices. Teen drivers cannot manipulate, talk into or interact with a cell phone or handheld electronic device while operating a motor vehicle. A ban on texting is in effect for all drivers of any age. This is considered a primary law, meaning, it holds the weight of any a traffic violation. Police can pull over any driver caught texting, reading instant messages, or emails, and issue a ticket. The minimum fine for first-time offenders for texting while driving is $250. The fines for repeat offenders is not less than $500, and suspension of driving license without a right to a hearing from 30 to 90 days. If you are a victim of in a car accident caused by a distracted driver do not hesitate to contact a car accident lawyer to discuss your legal options. 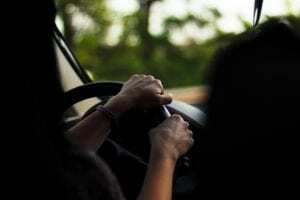 Victims of distracted drivers should seek legal advice not only to weigh the options that are available to them but to get sound legal interpretation of Maine law.